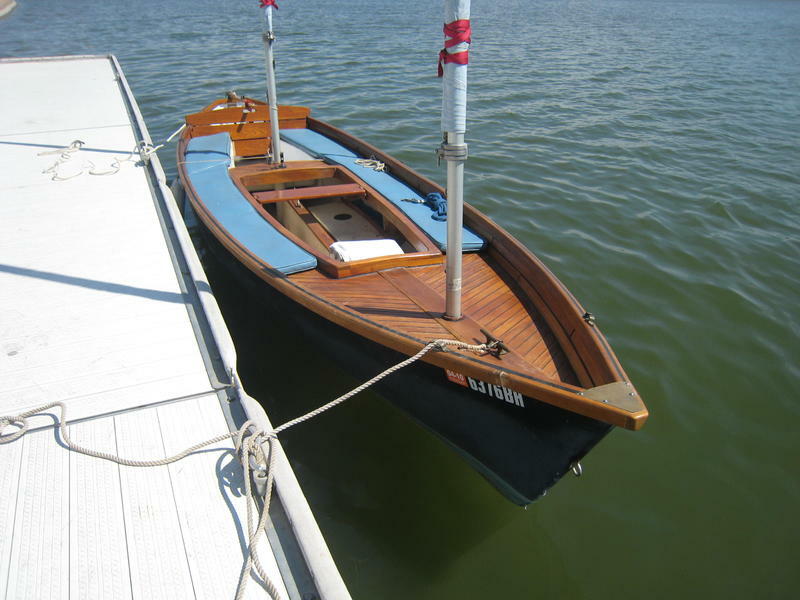 This Sea Pearl was named Little Miss Magic by its original owners and I am the second proud sailor who has been able to claim her as my local means to get on the water. The first partners decided to deck the entire top deck and side rails, outfitting them in teak and mahogany, giving the boat a stunning appearance. Every time she is put in the water people come over and ask about the boat, how she handles, where she is from, etc. The Sea Pearl, on her merits is quite the design. Based on a Herreshoff designed sailing “tender” for his sailing yacht, the Sea Pearl comes from the borrowed design of a whaling work boat. 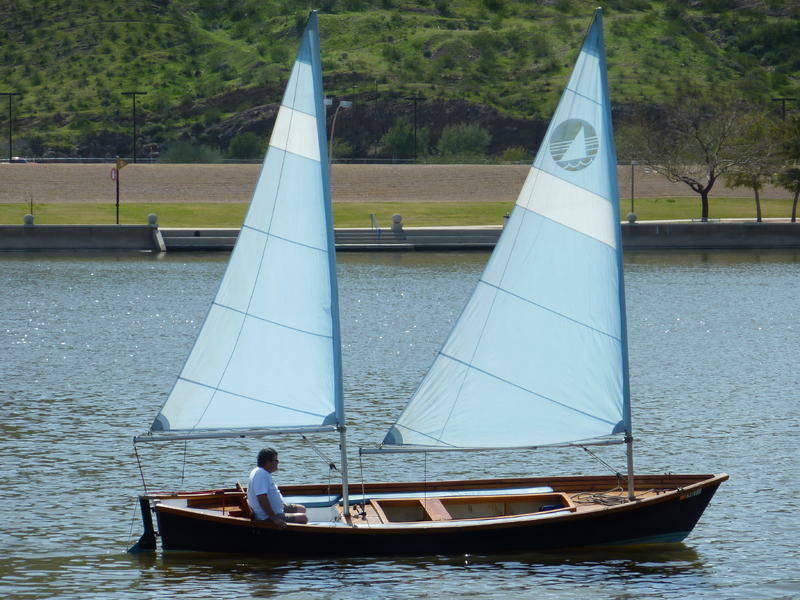 She carries a high bow, yet the modern Sea Pearl has a slightly squared off stern and boasts a cat ketch design. 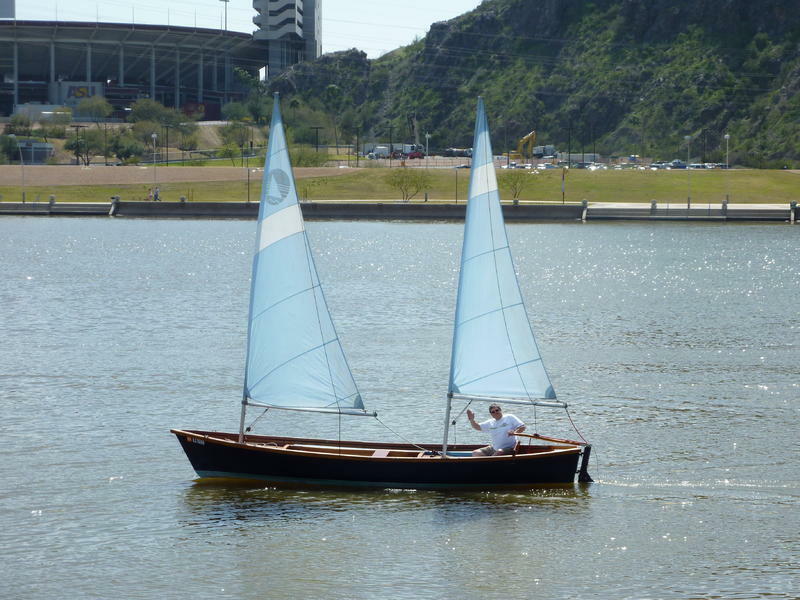 For more information on the Sea Pearl sail boat, go to: www.marine-concepts.com. Besides the wood deck, this Sea Pearl has dual water ballast tanks and a center board. Most Sea Pearl’s are leeboard models, so this also makes her very unique. A custom “captain’s seat” and center seat were designed and constructed by the original owner, and that makes the boat even classier and more comfortable. Even the tiller handle has been hand crafted and has a special message from the craftsman. The Sea Pearl offers a lot of storage room, and I have even strung a hammock between the two masts to “sleep” aboard. Many a canyon lakes in Arizona, Utah and Nevada has this sail boat ventured out packed with gear for overnights. The original owners had her docked for a time in S. CA, and so the anti-fouling paint on the bottom. Oar locks add accessibility, and a motor mount allows for a small outboard to be used (not included). Boat has white fabric cover for storage and transport. 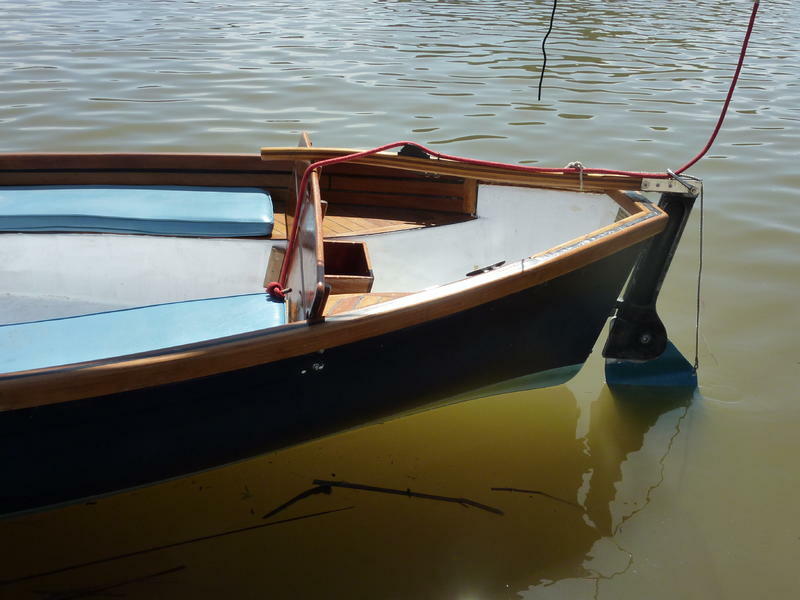 The boat weighs in at 700 pounds and is a cinch to pull on its galvanized trailer (just installed a new light kit).This is a great entry boat for a couple or small family. You could not do better that a Sea Pearl! We are offering her at $6000 obo. Kevin Mart (# removed); k-mart@cox.net. 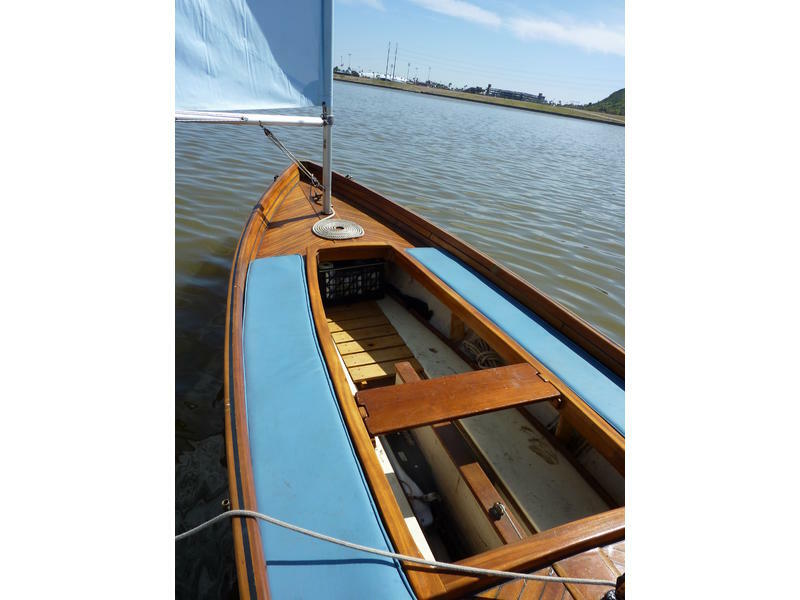 Teak and Mahogany deck and rail, custom Captain’s Seat and Tiller, ketch cat design, water ballast system, center board design,3.5 Nissan long shaft motor (not run in 5 years may need work), galvanized trailer, and more.